Leave the crowds on the beach and enjoy an intimate gathering on the 4th of July Sunset and Fireworks Cruise from Key West. Even though the catamaran holds 28 people, only 14 guests are permitted on this cruise to keep it intimate. Gather a small group of friends or family to enjoy Key West's beautiful sunset and the 4th of July firework display. 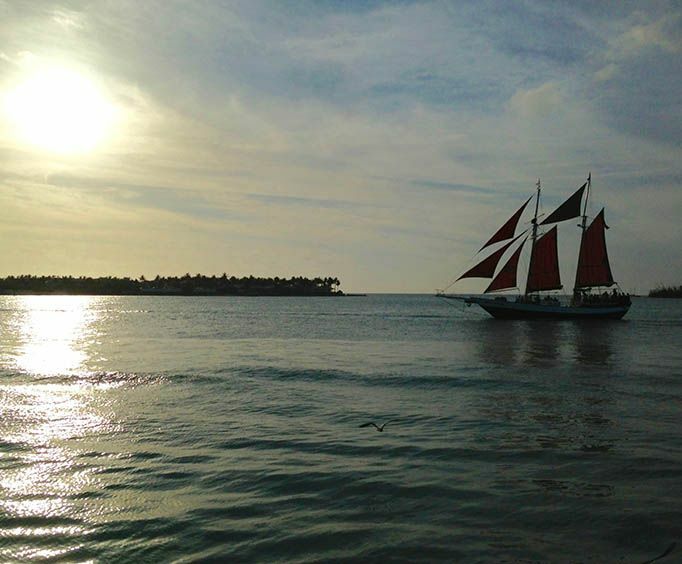 While waiting for the firework display to begin, cruise around the waters of Key West. Once the sun begins to set, watch how the lights reflect off the water for an exceptional display. 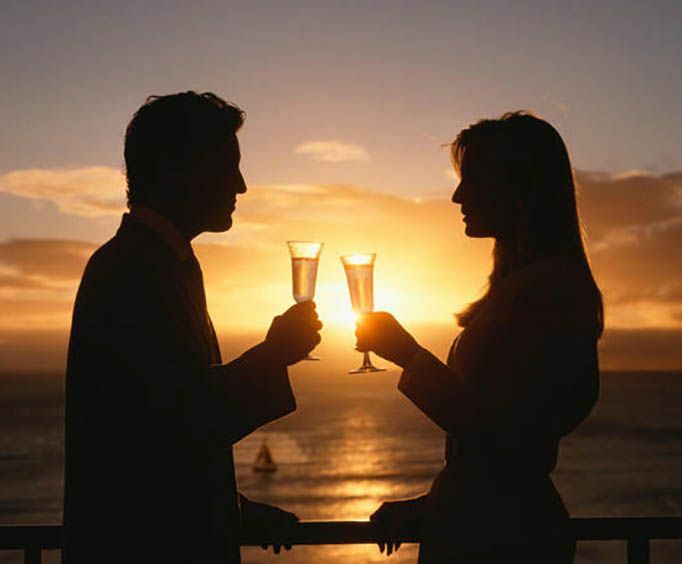 Enjoy the sunset while drinking some sparkling wine or a variety of red and white wines. Beer and soft drinks will be able too. To go with the drinks, a cheese buffet will be served. A variety of cheeses, bread, berries, and local seafood dip with crackers will make up the buffet. The cheeses were picked to pair with the wines being served. When the firework display begins, move to the deck to get a great view of the colorful display. Enjoy a quiet evening on the water enjoying the sunset and good company, while waiting for the fireworks show to begin. Watch how the reflection of the fireworks play off the water. Take a small group of family members or friends to enjoy drinks and snacks while enjoying a summer evening on the water away from the holiday crowds. Celebrate America's Independence Day in style with fireworks, drinks and the beautiful Key West scenery! Sip on Chandon Brut Classic sparkling wine, premium red and white still wines or ice-cold beer as you enjoy a gourmet cheese buffet designed to complement your wine. To glam up your cruise, upgrade to include one of Mo?t & Chandon's exceptional Champagnes: Imp?rial or Ros? Imp?rial . After watching the famous Key West sunset, enjoy a spectacular 4th of July fireworks display over the glassy water. Get one of the best views of Key West's famed sunset and celebrate the 4th of July all at once aboard this luxury catamaran Champagne cruise! Instead of crowding in with the rest of the sunset-seekers at Mallory Square, relax on the boat and cruise through the waters, enjoying Chandon Brut Classic sparkling wine, premium red and white still wines, ice-cold beer and a gourmet cheese buffet. If you want to take your wine up a notch, upgrade to include one of Mo?t & Chandon's exceptional Champagnes: Imp?rial or Ros? Imp?rial. The 28-person catamaran is limited to only 14 passengers for this special 4th of July event to provide you with an even more exclusive and intimate viewing experience of the Key West sunset and fireworks.